You can discuss about the influence of tourism, because there aren't so many people visiting Antarctica, comparing it to other countries. 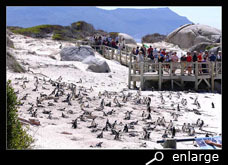 But the number of visitors is still increasing : every year several thousands of tourists are going to Antarctica. When you add the crew from the ships, scientists, journalists, photographers and the working people in the stations, you can't ignore that many people are visiting the breeding colonies of the penguins. 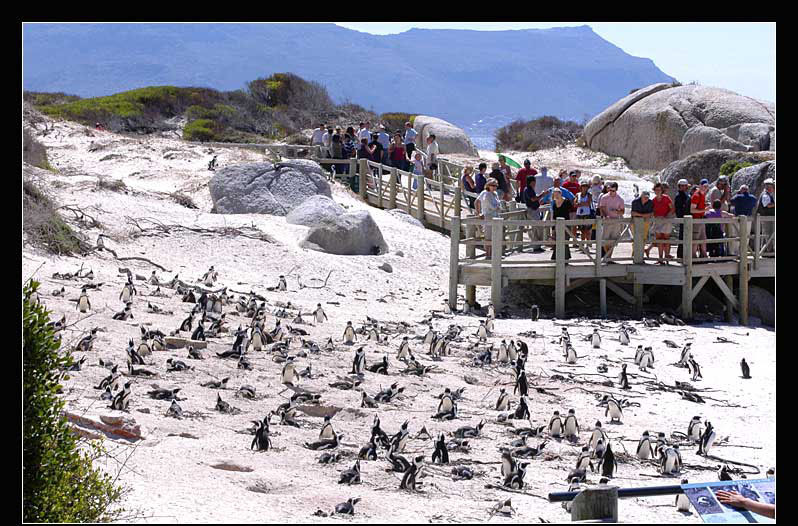 Considering this, penguins must be disturbed and stressed by tourism, with negative influence on their breeding behaviour. In Australia little penguins are threatened by tourists who don't keep their dog on the leash. This goes for yellow-eyed penguins in New Zealand too and also for some other species which breed on mainland close to human civilisation. In South Africa and South America you must be careful not to ride over penguins or not trample down their (hidden by vegetation) nests. Therefore a few rules on how to approach penguins in the wild (not necessary on Antarctica! ).